When you decide to take up the guitar, it is fundamental that you get guitar lessons for beginners in Frisco TX. In this age of YouTube videos and internet tutorials people like to think that they can teach themselves to play any instrument without having to rely on an actual person to do the teaching. As convenient as it is to have access to sheet music and guitar tabs to help you learn new songs, having access to more music isn’t the same as having a real teacher in front of you. They say that it is never too late to learn something new. It is often just taking that first step that makes all the difference. Guitar lessons for beginners in Frisco, TX is just the place to start. Playing an instrument has so many positives besides just the simple enjoyment of music. The first step is really easy. Simply purchase your instrument. Unlike other musical instruments a good guitar for learning on can be bought at a responsible price. Once you have it you are ready to move forward and get your lessons started. Improved brain power is a perk for playing any instrument. Signals are initiated that transfer commands subconsciously for movement of the hands. The hands in turn allow the fingers to automatically position themselves to play chords and to strum naturally without thinking about it, It is all about memory and alertness. Excellent mind stimulation carries over to other learning also. It is a great side bar to the enhancement of cognitive development. We live in such a fast pace society, life can be hectic and self time can be a rare commodity. Everybody needs some TLC and sometimes you just have to take it and put yourself a little more to the front. 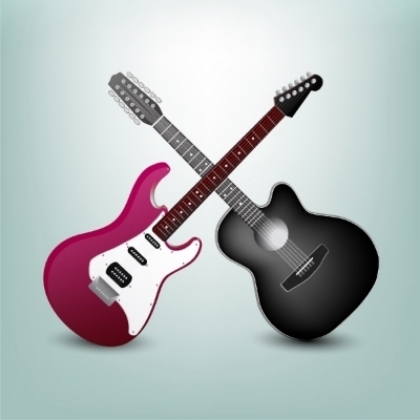 Enrolling in guitar lessons for beginners in Frisco, TX is a great way to find time for yourself. It is an amazing outlet for emotions. Stress can take toll on not just the mind but the body. Music is a great way to relieve stress and put aside worries. Playing the guitar can provide inner fulfillment and personal pleasure all in one. Being able to play an instrument, like the guitar, is a personal achievement. Music allows those creative juices to flow. Blues, folk, and rock are just a few of the countless genres to choose from and what you play can be all about what you like or what strikes your mood. Self expression and creativity are just waiting to be channeled. You can play for a group, that special audience of one, or to you alone. Learning to play builds confidence and self esteem. It provides the opportunity to connect with other individuals; it is not difficult to find those seeking a good jam session. It can calm your nerves and boost your ego at the same time. One of the nice features of a guitar is that it is easy to take anywhere so you’re ready for an impromptu performance for an icebreaker or a jam session with friends. Patience can be improved and discipline developed through learning to play a guitar. Persistence will pay off and before you know it you will have achieved a great accomplishment. Qualities gained through this learning process will carry over to other aspects of your life. It is an activity that can last a lifetime and give many hours of enjoyment. If you are looking for guitar lessons for beginners in Frisco, TX then Mark Burk Music Studio might just be the place for you. Pick up the phone and let us expand your talents and show you a whole new world of music right at your fingertips by calling (469) 619-9055.